How To Avoid An Audit – There are more than 10 ways to avoid an audit! In today’s Canadian small business world, if you are in business, it is not a matter of if you will get attract the attention of the TaxMan, it is more a question of how high have you put yourself on the list of “Businesses of Interest” to CRA, when you filed your tax returns, that will trigger that contact from a hungry auditor. There is no such thing in Canada as a random audit. All audits are as a result of human behavior. You may have a legitimate transaction that attracts attention, or you may have done something that flags your file. In either case, you better have audit ready books. 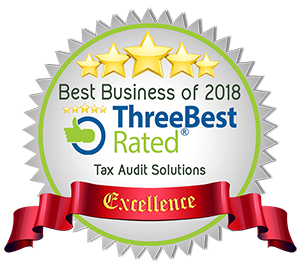 Not being audited in the first CRA place is always the best idea, and we will give you some guidance here, but what is the most important thing you can do is keep your books audit ready right from the first data entry on. The accounting system in Canada is a setup, either by accident or design for audits to be a costly event for the average small Business in Canada. Generally Accepted Accounting Principles.. or… as it is known… GAAP is in no way a guide to keeping records that will end an audit shortly after it begins. Auditors know that the better the bookkeeping, the less booty there will be for the TaxMan. So let’s start at the end goal of surviving an audit without any collateral damage to your bank account. That objective needs to relate the quality of the bookkeeping to the quality of the tax return submitted. Sloppy record keeping ends up with a dangerously bad tax return. Being that you and not your accountant is responsible for the information on the tax return, you better make sure you have the correct records to give to your tax preparer. Don’t do your own tax return, unless you are under the misguided belief that you have nothing to hide or fear. Do a bad tax return and with your luck, you will get a bad auditor. There is no need to send a senior auditor to someone who does not even know how to do a tax return properly. Good auditors are like surgeons, they come in and do skilled cutting remove the gold that is theirs, if any, and move on to the next victim. Bad auditors make all kinds of dumb assumptions and take gold that is not theirs, much the same as the common thief. They take without guilt or conscience. Report everything you’re supposed to, no matter how small the amount. A lot of small amounts are in indicator of a detailed bookkeeper. Make sure you include absolutely every form you receive…. without exception. This is the first thing to avoid being sloppy about at tax time. And don’t annoy your tax preparers at their busiest season by remembering a missing form… after your return is finished and printed. The CRA automatically gets duplicate copies of all the forms that you receive … your income and benefits, interest, CPP etc… They cross-check all the forms they receive against your return. They match every detail. That 60 cents interest on some old bank account? You need to Report that too. It’s not the amount that matters. It’s your failure to file a complete set of documents. The discrepancy, when discovered, will cause you to receive an automatic audit, in the form of a letter from the CRA asking you to explain. You don’t’ want to call attention to yourself. You want to pass through the system without a hiccup. Whatever your spousal situation, child custody, support, alimony, exact addresses, etc.. You need to make sure that you have everything documented and is 100% accurate. All government agencies and departments have access to your information, and data mining is the term of the day. Meet all your filing deadlines. File in the middle of the rush… before the final deadline. Don’t do anything to set yourself apart from the maddening crowds of taxpayers. You don’t want to do anything to suggest you’re being anything less than 100% compliant. If you can not afford to pay your full amount of tax owing, it is a good idea to include a partial payment, it shows a good faith payment and is less likely to move into CRA collections. Once you are in the cross hairs of CRA collectors, all they see is a lying cheating tax evader. At that point, it is questionable in their biased minds as to if you should be allowed to live your life or not. Don’t be a greedy. People have a tendency to be too aggressive in claiming their business expense deductions. Only deduct what you’re legally entitled to. The statement that you have to pay some tax, is true only when you actually have a net income. Paying tax when you have a business loss is not only dumb but it makes you a person of interest. Somewhere in your tax return, it stops making sense. There is no room for dishonesty in audit ready books and the subsequent tax returns. Whatever it is … is what it is… no more and no less. If you have a home office, make sure you understand the rules. There can not be any personal use of the space and your office needs to be your centre of operations. Keeping good books is not something that you can do once a month or once a year. A shoe box is what a shoe box is; A container for keeping things you don’t use. If you are going to avoid going to CRA Audit Hell, then you need to track absolutely ever penny that comes and goes in your business. A big wake up call is that you also need to track your personal expenses. I can hear the wails of protest about this, why? You may ask. I’ll tell you why… It is because it is now standard policy for auditors to consider a lifestyle audit. If you can not prove how you paid for what you have and how you live, be prepared to receive a Lifestyle Audit. The other reason for tracking your own expenses is so that you can manage your personal finances. You need to have every expense documented to prove that it relates to your business and so that it answers any question an auditor can ask and blocks them from assuming the expense is personal. In the absence of your statement of how the expense relates to your business, an auditor has the right to assume it is personal. In that case your business expenses are denied and are considered as personal expenses. If you are in a start up business, especially converting a hobby into a business, you better make sure you set yourself up properly as a business in every possible way. Document that your venture has the potential to make money. Be able to show, that there are other people doing it for a profit; that you posses the necessary knowledge and experience; and that you are putting in the amount of time and energy necessary for it someday to succeed. You need to have the trappings of a real business; Business Number, Business Plan, Marketing Plan, Business Cards, Letterhead, a web site, a Budget, and a daily journal of activities. Your record keeping must be impeccable. At your third year of losses, you can expect an audit that could very well cost you all your deductions and end up giving you the shaft. Choose your tax preparer carefully. Since you and not the preparer, are legally responsible for what’s submitted, you want to make sure the professional you use is ethical and skilled. Also make note that it is not in the tax preparers best interest to be aggressive, so you better keep good records, failing which your tax preparer will not want to include a considerable amount of expenses. Understand your tax preparer is subject to serious civil penalties for overly aggressive tax returns. If you receive an unusually large payment that causes a spike in your income, make sure you have a complete audit trail to track the income and expenses related to it. Understand that just having this unusual payment is going to attract the attention of CRA. It is very important to have your paper ducks in order. Avoid anything that looks questionable or shaky. In today’s world a business getting a cheque from a HST input tax credit, is paramount to asking for an audit. CRA will question any ITCs you request. If you want to avoid an audit, treat HST as a consumer tax and don’t ask for a refund. In this case pay some tax. Unless of course you have audit ready records and no secrets you don’t want the TaxMan to discover, in which case claim what is real for your input tax credits. Avoid large Charitable donations that are out of sync with your ability to afford that amount of money. Absolutely stay away from all tax shelters. They are such a cash cow for the TaxMan and you don’t need the bother. This is for sure a case of too good to be true is really too bad to be real. Getting a refund for more than you pay… loans or not…. is going to get you on the hot seat…. a very hot seat. Don’t buy into the old husbands tale, of thinking that you have nothing to hide when it comes to an audit and if you have nothing to hide that you have nothing to fear. This is just plain uninformed head in the sand behavior. You owe it to yourself to do some research. The internet is full of horror stories. Check out the CBC documentaries and the news paper stories on how Canadians have been in the right but financially ruined anyway. There are a number of red flags that may trigger CRA interest in your tax returns. There are two categories that generate the highest probability of CRA interest: those who are self-employed, file a Business Activities Form and claim high deductions, and those who earn over a million dollars. Both cases will arouse the suspicion of the CRA. Realize that CRA looks at your numbers, they use Bedford’s laws. Avoid rounding numbers when taking deductions. Don’t over inflate red flag deductions like automobile expense, meals, entertainment, travel and charitable contributions. Take your valid deduction and make sure you have plenty of substantiation in case of audit. A great strategy to help avoid an audit is to essentially become “audit proof.” Consider having your Tax Representative conduct a “friendly audit.” Have them put on their TaxMan hat and act as if they actually are an auditor. 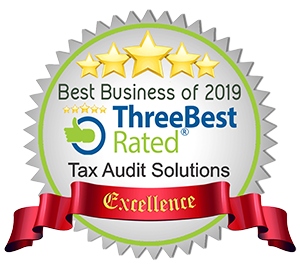 They need to visit your place of business where they get the guide tour of the operations, conduct a review of your financial activities, bookkeeping and record keeping procedures, and accounting practices to uncover and correct sensitive areas before they are discovered in an CRA audit. Whether the CRA interest is for a desk audit or a field audit, realize that just because they have contacted you does not mean you have done anything wrong. “Audit selections are generally made according to a computer model that selects returns based on how dissimilar they are from a national norm. In cases of a desk audit, CRA is generally fishing to see if there should be a full blown field audit. If the documentation and explanation is exactly correct as per your tax returns, then often CRA is satisfied and the file is then closed. If in the desk audit process it turns out that more information is needed, make sure you inquire about and understand the nature of the CRA inquiry and take notes during this process. Then immediately tell the agent that you’d like them to put their questions in writing and that you will to seek the advice from your tax representative, because bookkeeping and taxes is over your head. That you want to make sure that you both understand the question properly and answer the questions accurately. That you don’t think you should guess about anything. Once you make this request, you are under no obligation to answer any further questions and make sure you don’t get intimidated by anything the auditor says, they can be very intimidating. In summary the glory days of hap hazard bookkeeping and aggressive tax returns is completely over. In today’s world, you need to be on top of your record keeping on a daily basis and you need to understand audit ready bookkeeping.